Are you planning a trip to Iceland? Iceland is one of the best locations in the world to go on a road trip adventure, especially with the stunning landscapes at every corner and the Ring Road around the island. But before you visit Iceland, here are some tips to help you plan a memorable trip. Everywhere is tempting and with so many things to do in Iceland you’ll want to see it all. I get it! Lonely planet even included West Iceland in the Top Ten regions for 2016. Do not plan your Iceland road trip with the driving times indicated by Google maps. Not that they are wrong. It is just that they do not take into account that you will want to stop everywhere along the way. Weather can change, fog can appear, and you will have to slow down. Be diligent and safe. If you travel outside of summer in Iceland, days are short. But don’t worry, you will still see a lot! For manageable plans, you can check out the 5 detailed itineraries I suggested on my blog. Iceland has something to offer every month of the year, so it really depends on what you want to see and how you want to travel. Below is a list of special conditions and activities in Iceland and where you will encounter them. Crowds – most tourists come between June and August. 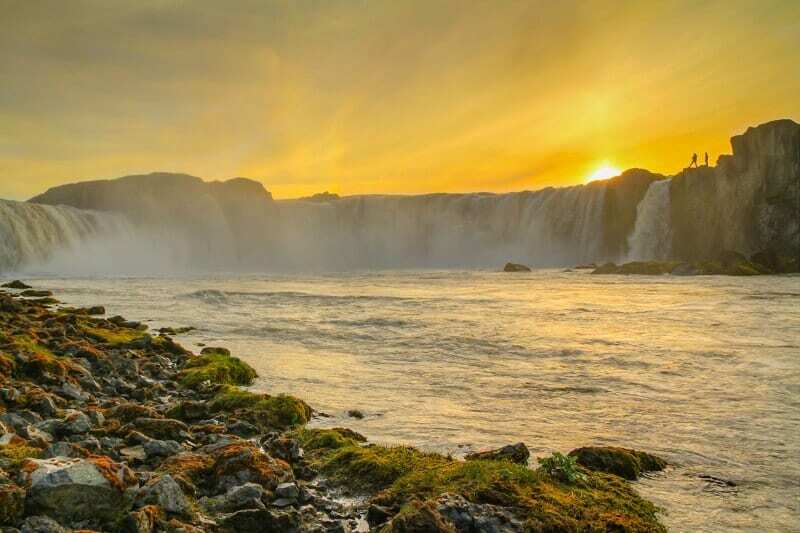 Midnight sun in Iceland – Around 21st June. Northern Lights Iceland (aurora borealis) – Late September to March. Whales – all year around, more sightings between April and September. Puffins – May to Mid-August. Lupin flowers – Mid June. Frozen waterfalls – January and February. Here comes the frequent question: should you rent a 4WD or rent a normal car when you’re visiting Iceland? All the F roads are accessible only to 4WD. Most of them are in the Central Highlands and open only between June and September (roughly as it depends on conditions). Those F roads sometimes have significant river crossings. There is already a lot to see not far from the Ring Road and the access gravel roads are manageable with 2WD cars. I rented a 4WD vehicle and I must admit it was much more comfortable for longer gravel roads. In winter the roads can be covered in ice and snow. But don’t worry, the Ring Road and side gravel roads are not difficult. Make sure you have time to take a road when you have no idea where it leads to. This is how you can find some of the most memorable landscapes. During my own trip, I was touring the Snaefellsnes peninsula. 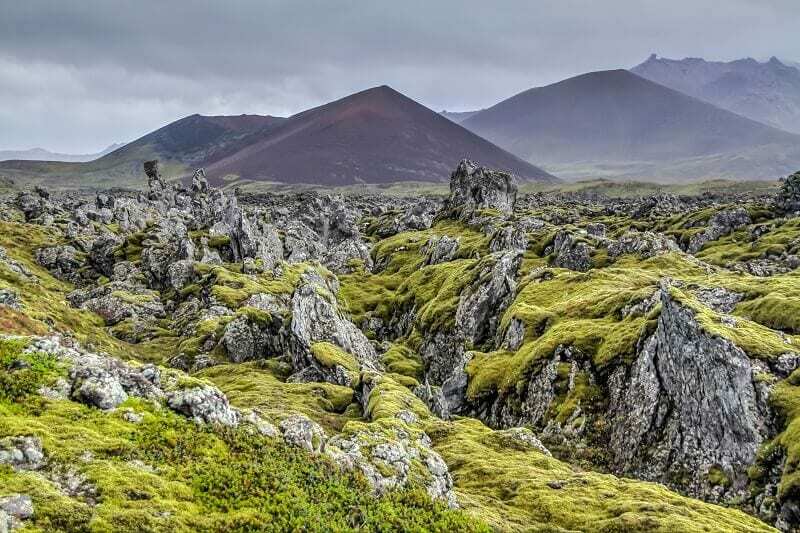 Based on the recommendation from a local, I drove through the lava field of Berserkjahraun. It was not planned and yet it was one of my favorite places in Iceland. Iceland’s tourism industry is developing quite fast, however there are still huge areas without any towns. So it is important to book your Iceland accommodation in advance. For a local and unique experience consider booking with Airbnb. Click here to view all properties available in Iceland. The few hotels or guesthouses in the countryside fill up quickly. Another option for summer is to camp. It is less of a problem in winter. However, during that period, many establishments shut down, so you could face the same problem. This is not a legend. This is a reality. The weather in Iceland changes quickly. So you need layers: some to keep warm, some to protect from the rain and some to stop the wind. And on top of that you should bring a hat and gloves. 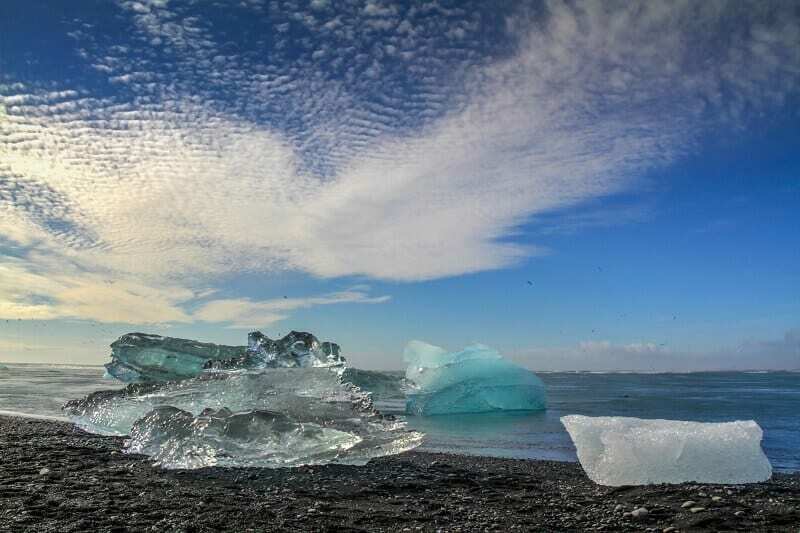 One time I was on Jokulsarlon beach, a stretch of black sand where icebergs wash off. It was all foggy and wet, an incredible mood! But a little while later we had a beautiful blue sky! I am going to repeat myself Iceland is STUNNING. It is hard to keep your eyes on the road. And yet, you should! Sheep can appear suddenly. Roads sometimes become one lane bridges, so my advice is to plan in advance to alternate drivers (if you are not on a solo road trip like me). 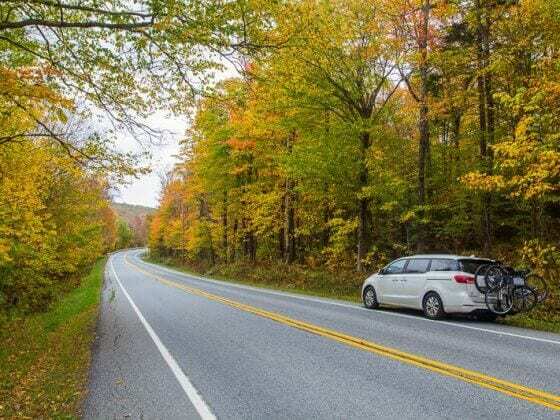 Or plan to stop every couple of kilometers so that the driver can enjoy the views. And then you are back to the first point of this article – be reasonable with your itinerary. Do you have any tips for an Iceland road trip? Share in the comments below! Great guide. Iceland has been on my bucket list for a while now, has been mostly a postponed trip because of the budget. 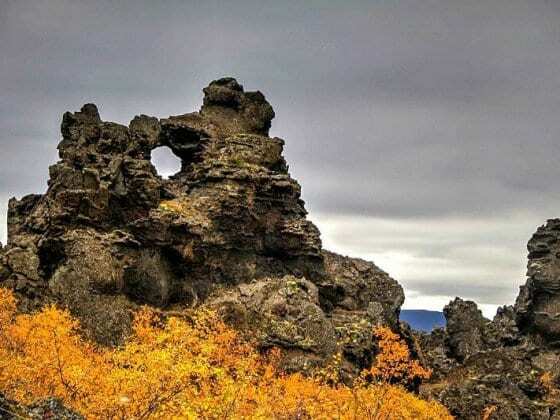 But fortunately more and more it’s possible to do Iceland on a budget! Yes Iceland is developing, more and more options are available. I hope you will get the opportunity to discover it soon! Next year we will show friends of us around. We will do the ring road again as it is the best way to see the most of Iceland. I recommend to book your car and accomodation through the local hostel organisation. Their site is http://www.hostel.is. They have a great combo deal for car and accommodation. They have great iteneraries on their side we used. They have great detours written into them for places to visit. They are part of HI International. In our experience they are also the cheapest. I’m sorry if I’m not supposed to put a link to a website. We found that the best place to go whale watching is Husavik in the north. It is so much nicer than going from Reykjavik. Thanks for sharing your extra tips Ellen! Great information – especially about then the biggest crowds come to the country and about the road conditions. Iceland definitely looks like a wonderful place to go on a road trip but it seems you have to plan ahead to get the most out of it. This is a great post! Thank you for sharing. I’ll be travelling in May and absolutely cannot wait. We plan to do the entire Ring Road in 9 days which is ambitious but because the weather hopefully will be more co-operative I’m really keeping my fingers crossed that we can do it. Is it bad that I want to make my fiance drive the whole time so I can marvel at the scenery? Thanks for your comment. 9 days is possible, you just have to make the effort not to stop at every turn because it is so beautiful. Great post, thanks. We cannot decide whether we want to go to Iceland in Winter or Summer. Such a tough decision!!! Is it hard to drive around in a rental car in Winter – are a lot of the roads and tracks close? I agree, it is a tough decision. Many tracks are closed in Winter (all the F-roads at least but also other fjord roads). The open ones can still get icy and snowy. So it depends on your level of confidence with winter driving. Thanks for the good advice! Sometimes I have to go on foot week, it’s it is very tiring. If I hadn’t good gear – it would be impossible! Nice post! It looks like a photographer’s paradise every time I see an article about Iceland. After 8 Months of saving your website tab and well-thought-out Planning. Finally me and two of my friends made it to Iceland. We made a 5 day trip. The place is surreal and a thing of beauty. There were no much waste baskets around. But the place is unbelievably clean.Actually, There is no need to plan an itinerary; You just drive around the country and be amazed.Most of them speak proper english and are hospitable. Its a treat for the eyes when you are in Iceland. Iceland is like watching a nolan’s Movie; You get confused how alluring is the creation of Such a marvellous place.We Rented a camper and stayed in it. The food,Rental and shopping in Iceland are pretty expensive.Still we are not able to believe we made it to Iceland. Thanks for the great advice and tips. I really appreciate it. Thankyou so much for sharing. Really great post 🙂 Such gorgeous photos! Iceland easily became the absolute favorite country I’ve ever visited. I just published my 6 day solo road trip itinerary if you want to take a look!